It has been Legomania in our house as of lately. My daughter is obsessed with building and has completed most of her instructional booklets. 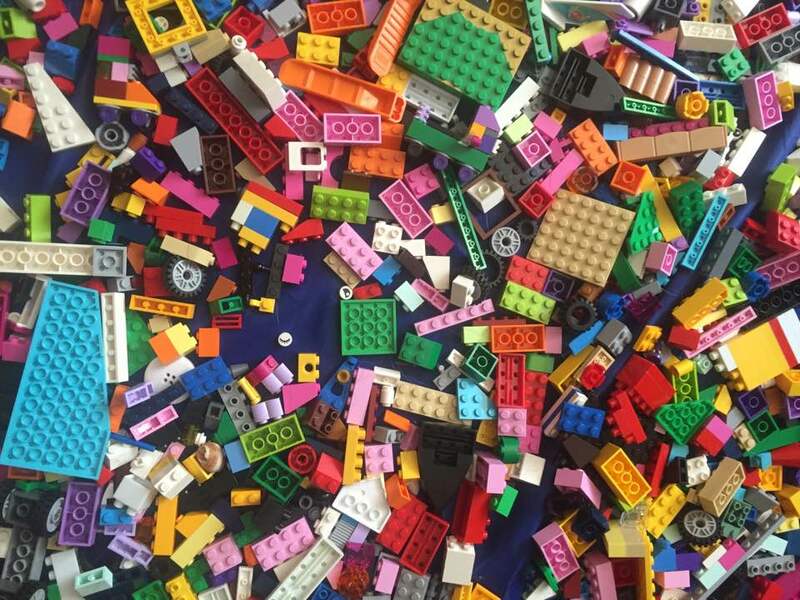 It can be hard to find the pieces that you need while digging through a bucket of Legos. Luckily, We have a wonderful Lego mat that makes it easier to spread out & then pick up in a blink when you are done. This make things easier, but still it can sometimes be impossible to find those tiny pieces. 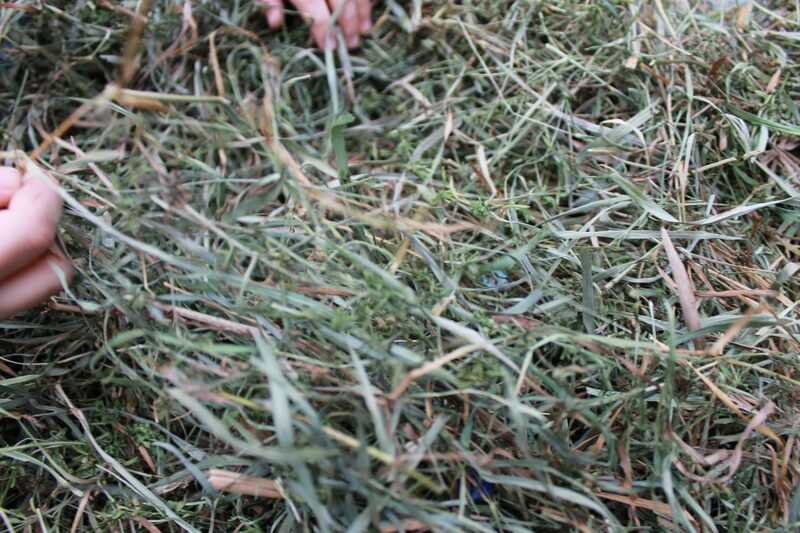 I joke with my daughter often that it is like trying to find a Lego in a haystack. She, of course, has no idea what I am talking about. I explained the saying to her & it sparked an idea. 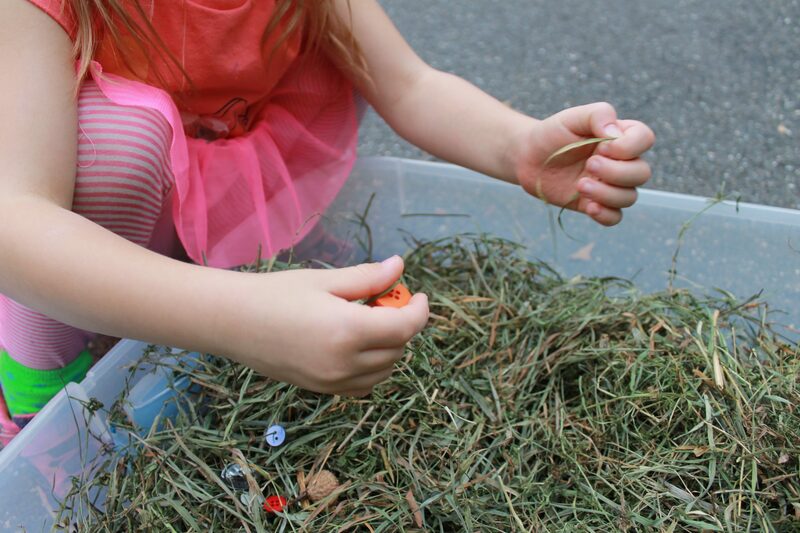 I wanted to come up with a fun sensory version of finding a needle in a haystack, but use buttons instead. 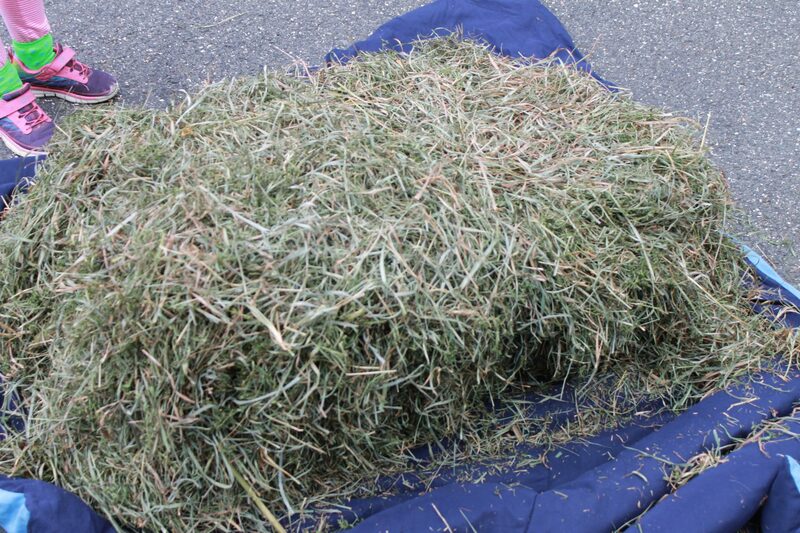 I bought a bale of hay for sensory & for decorating. 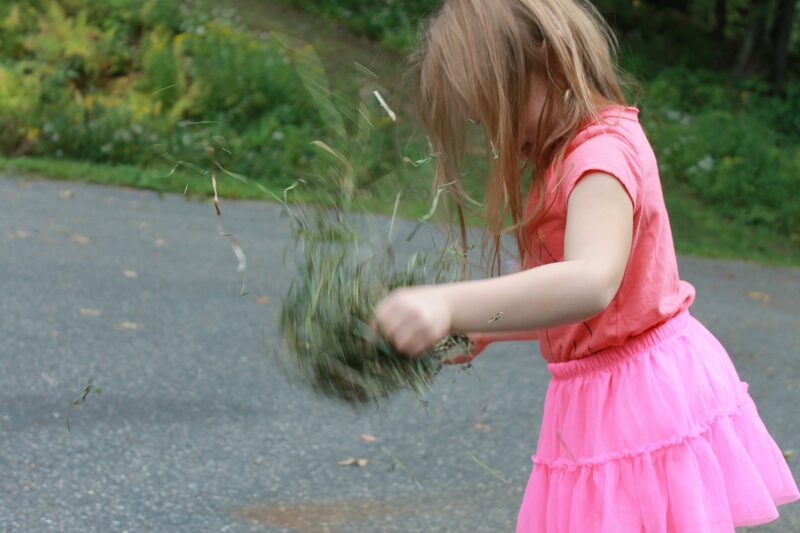 My daughter was skeptical at first looking at the hay, but once I got her to dig into the bale, she discovered that it was indeed going to be fun. 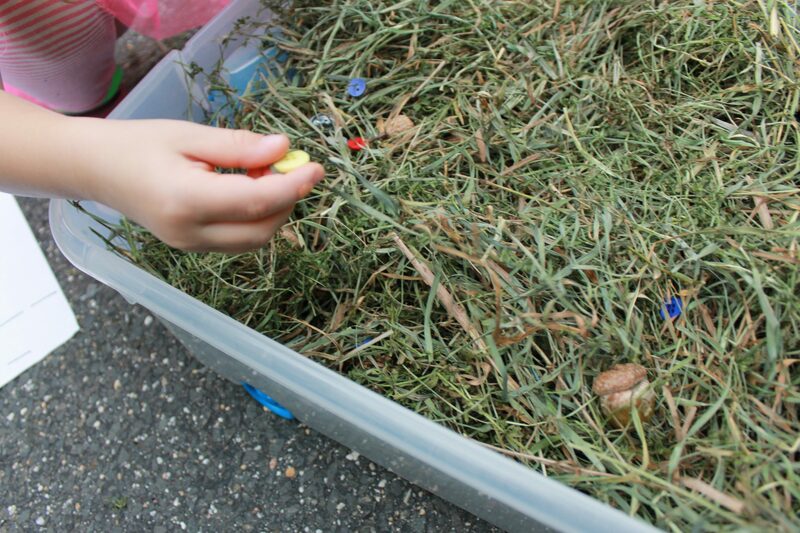 We used a clear plastic bin & together filled it with hay, acorns & assorted buttons. The buttons sink in as you place them. We created a scavenger hunt list on a piece of paper. 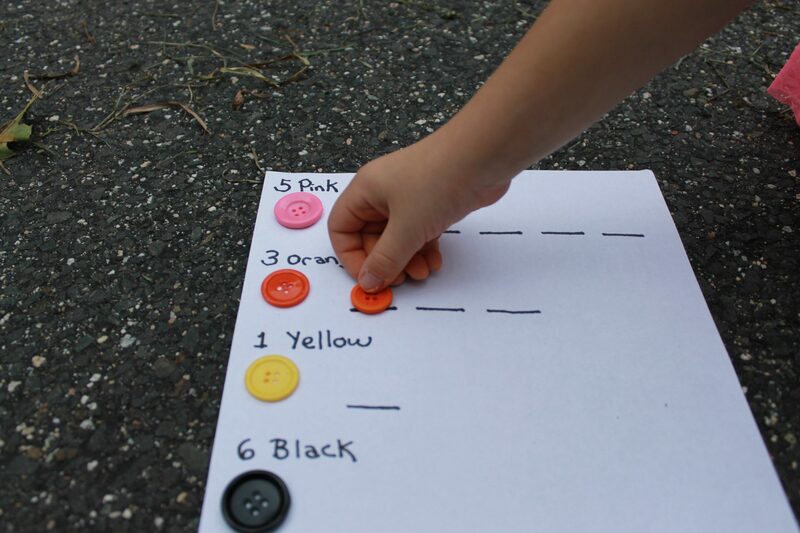 I glued one button in different colors to the paper, with the number of buttons that we needed to find above each & lines to place them on to the right of it. We dug through & placed the buttons on the paper as we found them. When we found one that wasn’t on our list, we tossed it into another bin. 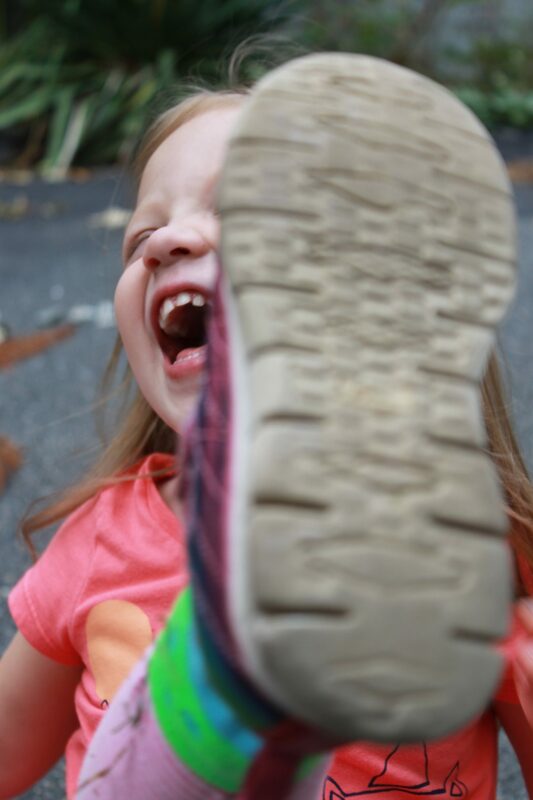 My daughter for some reason thought it was hilarious when she pulled one that wasn’t on the list. We dug through until we found all the buttons on our list & then some. When she filled up her sheet, she dumped all the buttons back into the bin & asked if we could start again. So we did.